Radioactive nuclear fuel that was used for research and medicine began its voyage from Sydney to France on Saturday night, with the help of 200 NSW police officers. The highly radioactive content will be recycled in France through extracting uranium and plutonium, and the leftover waste will be returned to Australia. The fuel, used by the Australian Nuclear Science and Technology Organisation (ANTSO) for a decade’s worth of research and 5.5 million doses of nuclear medicine for Australian patients, was moved from a nuclear reactor in Lucas Heights, Sydney’s south, to Port Kembla for shipping to a French nuclear plant in La Hague, ANTSO said. It is the tenth time this export has taken place. Next month a Senate inquiry in Canberra will look into the Federal Government’s attempt to find another nuclear site in regional South Australia to dump and store low-level and intermediate level waste……. the Australian Conservation Foundation’s Dave Sweeney said the material being shipped to France was “boomerang waste”, as the intermediate-level waste would be returned. “There is no Federal Government process to identify the best place and method to manage this waste — some of which requires isolation for periods of up to 10,000 years,” Mr Sweeney said, adding that the Government was trying to buy time instead of solving “complex management issues”. City approves resolution opposing nuclear storage facility https://www.timesunion.com/news/article/City-approves-resolution-opposing-nuclear-storage-13114846.php – 29 July 18 LAS CRUCES, N.M. (AP) — Las Cruces has become the latest community in New Mexico to voice opposition to building a nuclear waste storage facility in the southeast corner of the state. The Las Cruces Sun-News reports the Las Cruces City Council on Monday approved a resolution opposing the transport and storage of high-level nuclear waste in the state. Holtec International, a New Jersey-based company specializing in nuclear storage, has applied to the U.S. Nuclear Regulatory Commission for a license to construct a nuclear waste storage facility about 35 miles east of Carlsbad. The Nuclear Regulatory Commission is accepting public comment on the proposal through July 30. The council voted in support of the resolution after discussing the issue for nearly two-and-a-half hours. Once nuclear waste casks are sealed , it’s nearly impossible to see what’s going on inside. When nuclear fuel at a power plant is used up, the assemblies that hold it are placed in pools of circulating water and left to cool for years. But the fuel remains extremely hot – several hundred degrees Fahrenheit – extremely radioactive and extremely dangerous. After the fuel assemblies, each made up of multiple fuel rods filled with tiny pellets of uranium, cool to a required level, they are placed in a canister or cask while still underwater. The water is pumped out and helium, an inert gas, is injected. 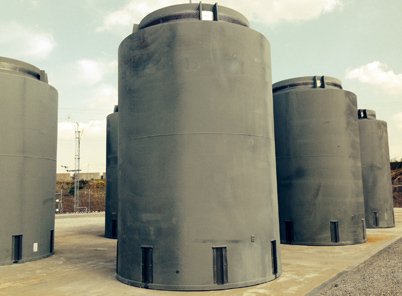 Then the canisters are taken to a temporary storage area, either above or slightly below ground and usually near the power plant, since there’s still no permanent location to store spent nuclear fuel. Extreme heat has already killed several outdoor workers this summer. By Umair Irfan Jul 29, 2018 As temperatures surge around the world, many cities and countries are breaking heat records. Massive wildfires have ignited in Europe and the United States amid the scorching weather, destroying thousands of acres of wilderness. Hundreds have died this year between the heat and fires. But the recent hot weather is dangerous in more subtle ways, and is an ominous signal of what increasing average temperatures and climate change portend for some of the most vulnerable who must endure the heat to earn a living. According to the Bureau of Labor Statistics, more than 15 million people in the United States have jobs that require them to be outdoors at some point, and rising temperatures are proving dangerous for them. In Georgia, Miguel Angel Guzman Chavez, a 24-year-old farmworker, died of heatstroke while working the field last month when the heat index reached 105 degrees Fahrenheit. Earlier this month, 52-year-old Cruz Urias-Beltran was found dead in a cornfield in Nebraska after temperatures topped 100°F. Postal worker Peggy Frank died in her mail truck near Los Angeles on July 6, when the temperature reached 117°F. She was 63. For farmworkers, delivery personnel, and construction crews, high temperatures can also mean heat exhaustion and related maladies. Between 1992 and 2016, excessive heat killed 783 US workers and seriously injured 69,374, according to the BLS. As the climate changes, heat waves are poised to get longer and more intense. That means more workers will face triple-digit temperatures, often for single-digit wages, threatening lives and livelihoods. While much of the rest of the workforce is in air-conditioned offices and stores, they’re not immune to the economic blows from climate change. By 2028, climate change will cost the US $360 billion per year, about half the expected growth of the economy, according to the Universal Ecological Fund. Much of this is due to health costs. Researchers are starting to realize just how costly high temperatures are, and workers are now fighting back for cooler conditions. Rising temperatures have an impact on productivity well before they become dangerous. Economist R. Jisung Park reported that worker productivity declines by 2 percent for every degree Celsius above room temperature. It’s a worldwide phenomenon, with the hottest regions getting hit the hardest. The heat can dehydrate laborers, and higher temperatures demand more frequent breaks. A 2014 study from the Rhodium Group found that the largest economic losses from climate change in the United States will come in the form of lost labor productivity. According to the Environmental Protection Agency, the United States will lose 1.8 billion labor hours across the workforce in the year 2100 due to extreme temperatures under a business-as-usual climate change scenario. That adds up to $170 billion in lost wages. But laborers aren’t the only ones vulnerable to heat. Researchers at the London School of Economics found that urban areas also pay a price for high temperatures, even among indoor office workers. They found that in London, a warm year could cost the city’s economy upward of 2.3 billion euros in productivity. Workers make more mistakes and act more slowly as temperatures rise above their optimal range. You can also see this effect in factories. States like Minnesota, California, and Washington do have some heat regulations in place. But according to Public Citizen, that still leaves 130 million workers across the country without these legal protections. The group is trying to change that. Earlier this month, cosigning with more than 130 environmental and labor groups, Public Citizen sent a petition to the Occupational Safety and Health Administration for a national workplace heat standard. They’re asking for provisions including heat stress thresholds, mandatory rest breaks, protective equipment, and heat risk education programs. Our analysis suggests a change in working hours is a potentially important adaptation measure for the case of London. In particular, working schedules that avoid early afternoon work, such as working from 07:00-11:00 and 17:00-20:00 instead of 09:00-13:00 and 14:00-17:00 – the equivalent to the Spanish “siesta” – could save the London economy over 700 million euros by the end of the century. So if you’re getting hot at work, stay hydrated, take breaks (or a nap), and avoid the sun. Your paycheck, and your life, may depend on it. Plentiful, cheap and getting cheaper. Report argues cost of wind and solar likely to be well below cost of fossil fuel generation nearly everywhere. ‘Lindy Nolan is an activist in the Stop The Intervention Collective Sydney (STICS). 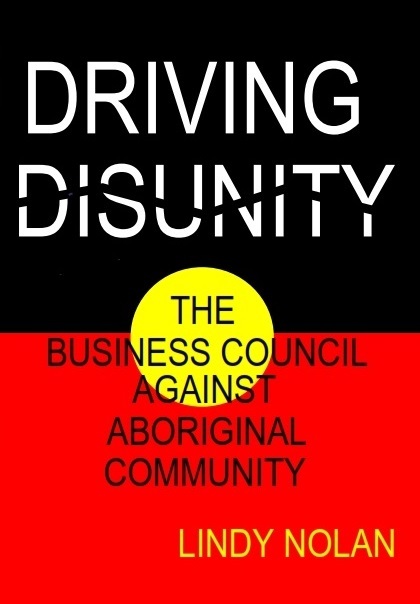 ‘I hope you buy or borrow Driving Disunity – and read it. DSO and DER – an important conversation about control of your rooftop solar and battery storage that deserves better acronyms.